1:55 PM PT — The sheriff’s department tells us deputies responded to Harrell’s home after an alarm was activated. Harrell’s wife told deputies the two of them got in a heated argument that then turned physical. Officers saw guns and drugs in the house and got a search warrant for the residence which ultimately led to his arrest. Harrell was also wanted in Tennessee on a probation violation … he’s being held without bond. 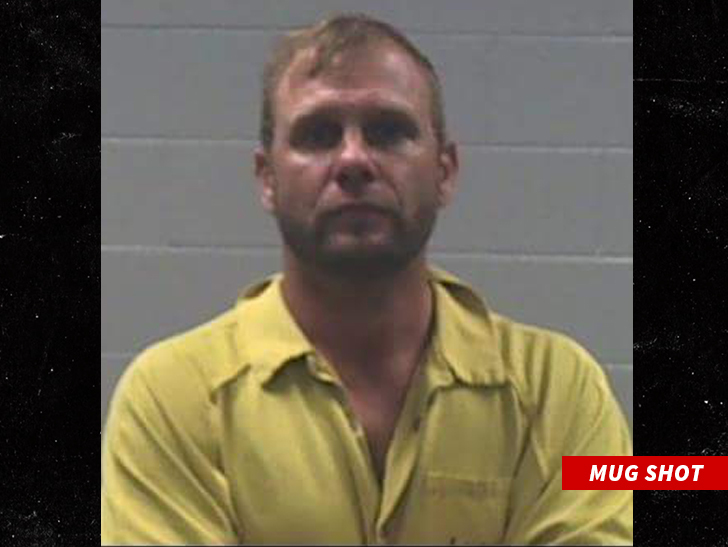 The former bassist of rock band 3 Doors Down is back behind bars after an alleged domestic violence incident … TMZ has learned. Todd Harrell was arrested Friday in Jackson County, Mississippi and is facing a charge of domestic violence simple assault, along with a count of marijuana possession and possession of firearm by a convicted felon. As for why he’s a felon … Harrell went to prison in late 2015 for his role in a deadly crash in Nashville in 2013. He was speeding and on drugs when he clipped a pickup truck, causing the driver to strike a guardrail and die from his injuries. Harrell was busted for another DUI in February 2014.